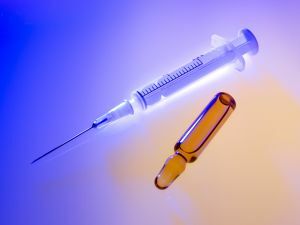 According to USA Today, a nationwide voluntary recall was announced in August after 15 patients throughout Texas developed infections following an injection of calcium gluconate. The bacterial bloodstream infections the patients developed are believed to have been linked to contamination at a compounding pharmacy. Patients who have developed infections due to their use of a medication may be able to file a dangerous drugs lawsuit in San Antonio and/or in the location where the drugs were produced or infection occurred. A dangerous drugs lawsuit can allow injured victims to recover monetary compensation for their losses. Unfortunately, such claims continue to be necessary to hold these compounding pharmacies responsible. Compounding pharmacies have become a major public health concern due to repeated contamination issues. In fact, the federal government is now aiming to change the way in which compounding pharmacies are regulated in order to try to prevent more patients from being harmed by unsafe medications produced at these pharmacies. According to USA Today, the voluntary recall that occurred in August was one of several this year. Earlier in August, a compounding pharmacy, Nexus Pharmaceuticals, voluntarily recalled injectable benztropine mesylate, which is used to treat Parkinson’s disease. In July, a pharmacy called Beacon Hill Medical Pharmacy instituted a recall when questions were raised regarding whether its products were sterile. Finally, in June, Fresenius Kabi USA recalled four lots of benztropine mesylate injections because of potential contamination with glass particles. In Texas, an organism called Rhodococcus equi, which was found in the calcium gluconate, was believed to have been the cause of the 15 reported infections. While the Texas recall was the worst of the most recent recalls because people actually got sick, the extent of the damage did not come close to the outbreak of fungal meningitis that was prompted by contaminated vials of medication from New England Compounding Center. That outbreak resulted in almost 50 deaths from meningitis and more than 700 people becoming ill.
Compounding pharmacies were originally intended to be small-scale operations that produced specific drugs for specific patients when the necessary medication was not available in pre-made form on the market. Many compounding pharmacies now serve as de-facto drug manufacturers and produced medications that are distributed nationwide. This is the case with the pharmacies recently forced to recall drugs. Their role as de-facto drug manufacturers means that if something goes wrong, many hundreds or even thousands of people could get hurt. Yet, the compounding pharmacies are still largely regulated by individual state pharmacy boards, which don’t have the resources or means to ensure the pharmacies are safe. New proposals suggest putting the compounding pharmacies under the purview of the FDA. Hopefully, this could help to prevent more injuries and more harm to patients who depend upon drugs produced at compounding pharmacies. If you believe you should pursue a dangerous drugs lawsuit, contact the Herrera Law Firm at 800-455-1054 for a free case evaluation.